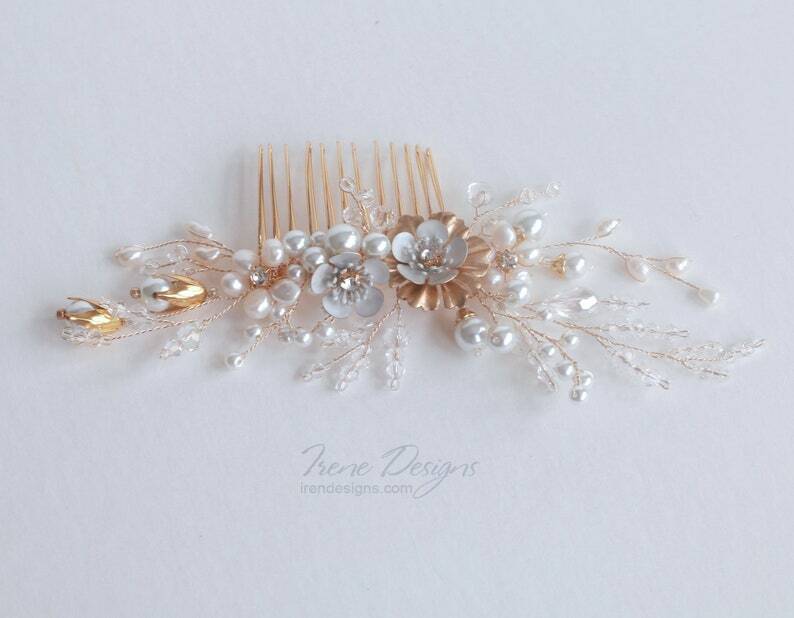 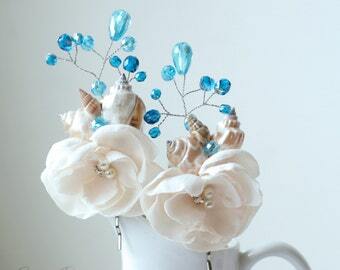 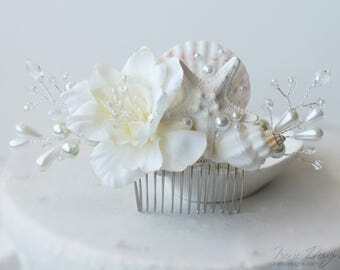 Wedding hair piece with white brass flower, clear water pearls and crystals. 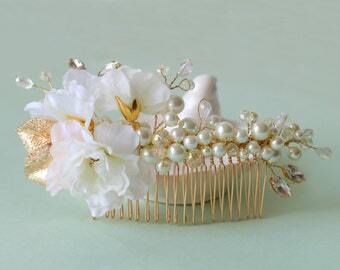 Metal hair comb base in gold color, jewelry wire in gold color, clear water pearls, glass pearls, transparent glass crystals, Czech glass beads, rhinestones, brass flowers. 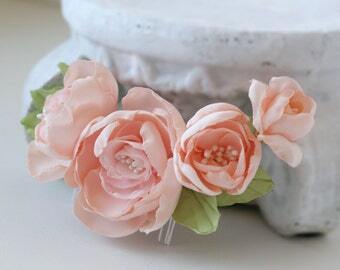 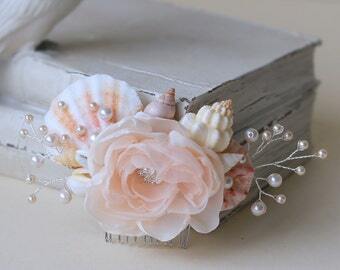 Vintage inspired hair comb with peach colored flowers. 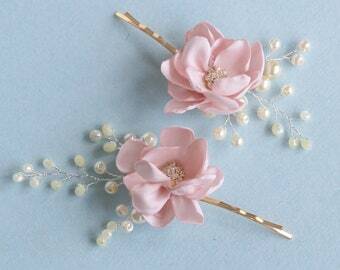 Hair flowers.